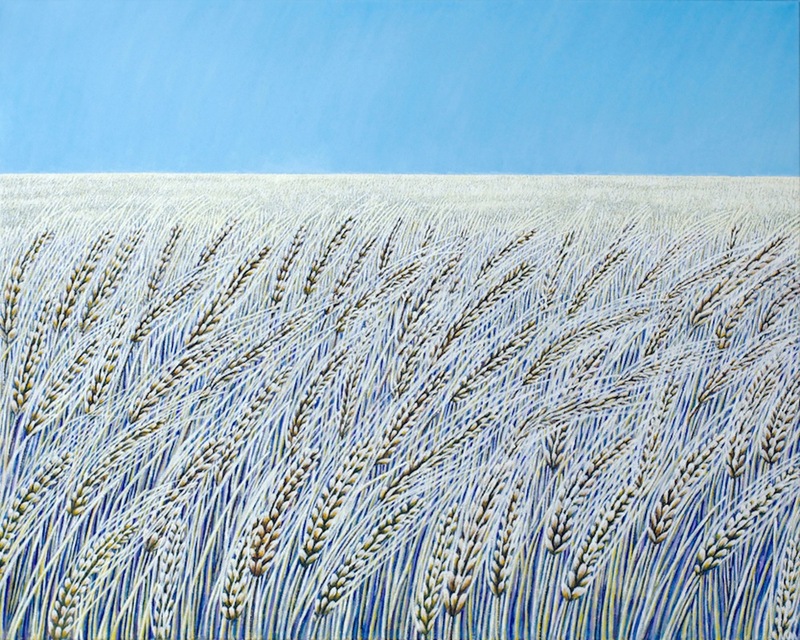 My paintings and photographs explore the extraordinary details hidden in the world around us. 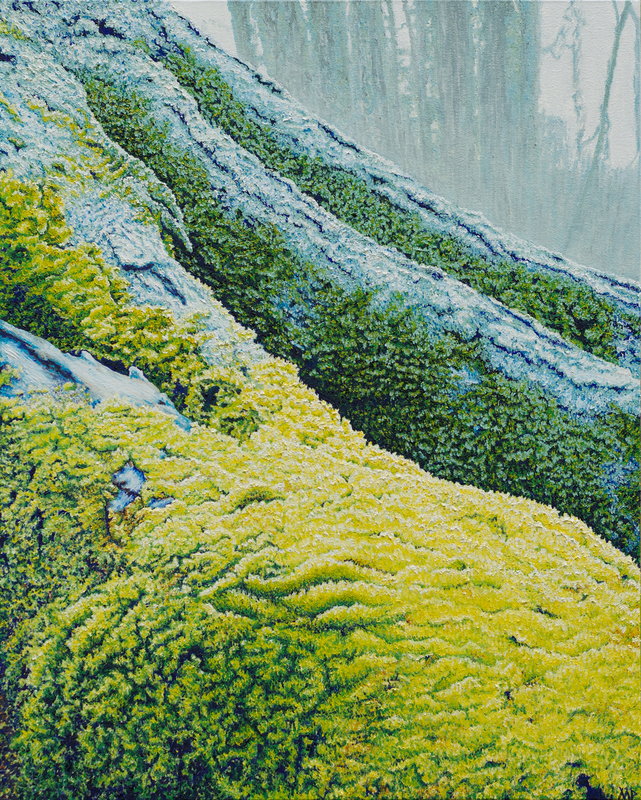 Trained as an oil painter, my paintings start as original digital photographs. Roots, Oil on Canvas, 24"x30"
This approach has honed my artistic practice, which uses complex compositions, vivid colors, and contrast to explore the blurred boundaries of realism and abstraction. My goal is to draw the audience into the scene, inviting viewers to be participants rather than outside observers. Aerial, Oil on Canvas, 22"x28"
As a survivor of Hodgkin’s Lymphoma, I have an intense appreciation of the fragility and temporality of life. Every moment has the potential to be beautiful, and to capture it in art it is to honor the hidden importance of something that will never be the same again: the subject, the light, the weather – all the things that change moment to moment and cannot be replicated. To respond to that urgency, paradoxically, means I have to slow down, breathe deeply, and appreciate the details in the everyday. With my artwork, then, I aim to instill a lasting impression of the beauty of nature, reminding the viewer of the importance of choosing to see it. Moved, Oil on Canvas, 24"x30"
To achieve this, I select subject matter that is unremarkable by mainstream society’s standards; scenes that many people are liable to overlook in today’s fast-paced world. 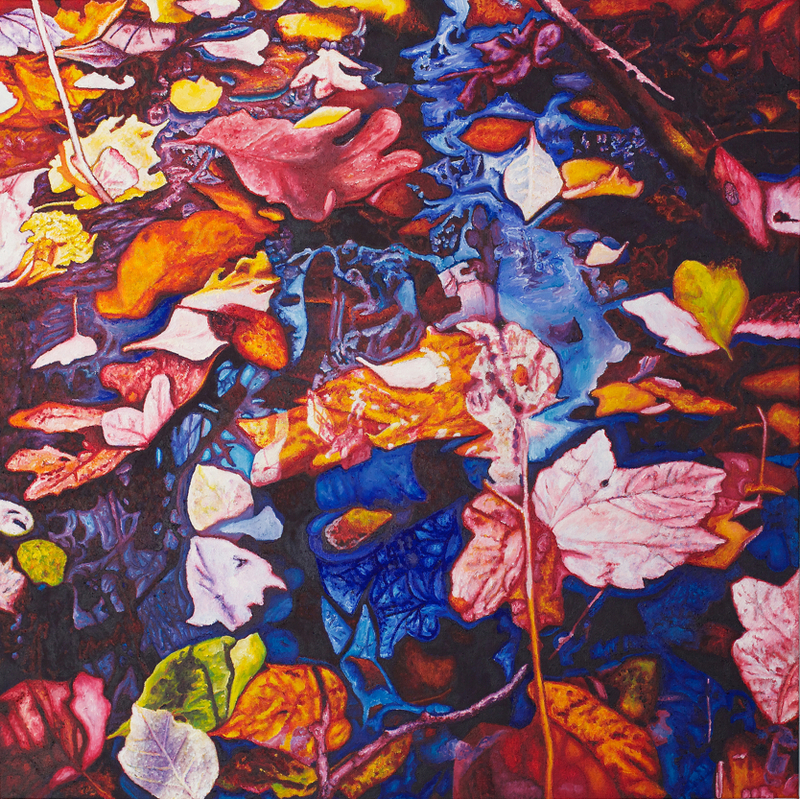 Fall, Oil on Canvas, 30"x30"
I transform my subject by putting a new spin on the common, drawing out details and strategically using color and shadow to make the once-mundane into something vivacious, noteworthy, and memorable. Thrive, Oil on Canvas, 30"x40"